A.J. 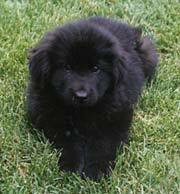 arrived in our household as a wee 9 week old black bundle of fluff in the summer of 1985. 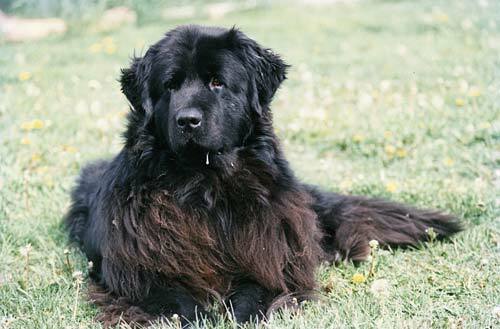 Through him we became involved with the Ottawa Newfoundland Dog Club and participated in their many activities, from flyball and water rescue workshops to Santa Claus parades and all sorts of wonderful fun days in between. 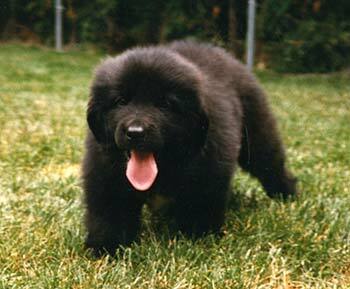 For years I had been attending the occasional dog show on a regular basis as a spectator, but now with A.J. I decided to try actually showing. We entered a few matches and a couple of shows, and although the show ring wasn't for him, I was hooked! 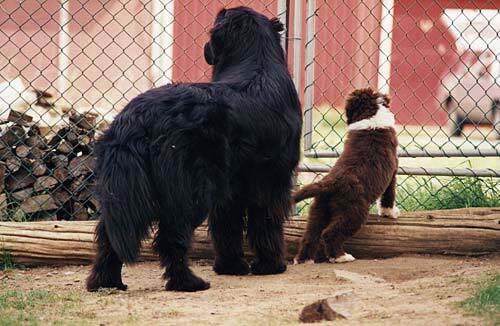 I suppose all that time spent around the friendly and helpful members of the Newf club, many of which were breeders and exhibitors, was the reason we developed a serious interest in showing and breeding (though we did decide that it wouldn't be with the Newfoundland breed,) and ultimately ended up with a houseful of Beardies! The club dissolved many years ago but many of those people we first met back then are still friends to this day. A.J. 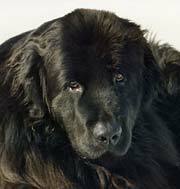 had more than his share of health problems through the years but lived to 10 years, a fairly good age for a Newf. Above: AJ with our first Beardie "Maddie"